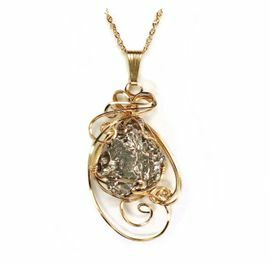 Custom meteorite jewelry as a necklace, earrings, or pendant makes some of the finest and most interesting cosmic space rock jewelry in the world! 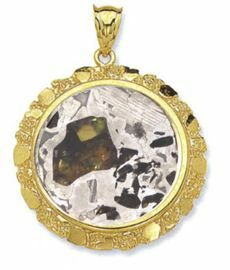 Our incredible universe has sent to earth plenty of incredible meteorites in the form of iron metal bearing meteorites, stony iron meteorites, and the green peridot loaded space gems called pallasite meteorites. 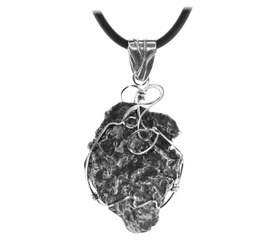 These space rocks have traveled a very long way, and turning them into prime and exquisite meteorite jewelry is our passion. 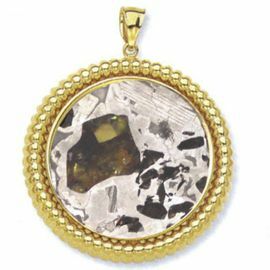 Most meteorites can come from as far away as the asteroid belt, located approximately between the planets Mars and Jupiter, and just a very few meteorites have tumbled to Earth from even the planet Mars itself - and even the Moon! 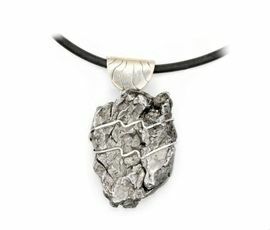 A meteorite is the remnant of an asteroid, meteoroid or comet that has managed to pass through Earth's atmosphere and impact our Earth's surface. 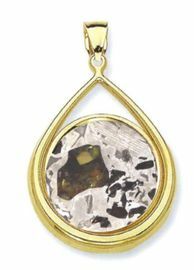 As they blaze across a night's sky, their appearance as a "shooting star" or fiery bolide can be quite a masterpiece of stretched, bold trailing light. A classification system for meteorites has been developed over the years. 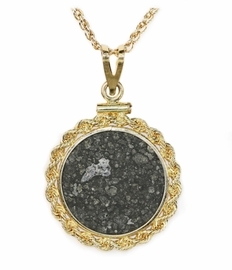 This system helps to identify meteorites based on chemistry and other attributes. 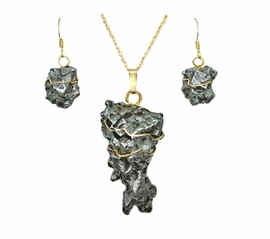 The main three broad categories are: stony meteorites (composed of silicate minerals classed as chondrites - about 86% and achondrites - about 8%); iron meteorites (composed of iron-nickel - about 5%), and stony-iron meteorites (composed of a mixture of the prior two - about 1%). 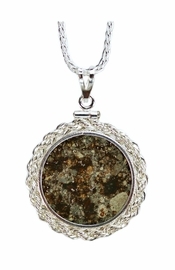 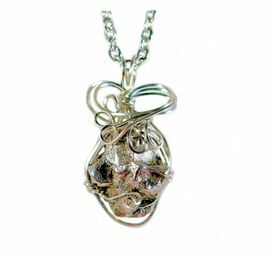 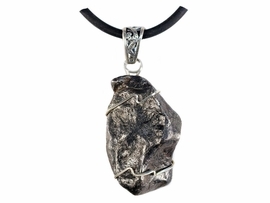 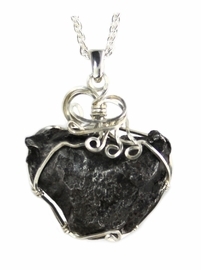 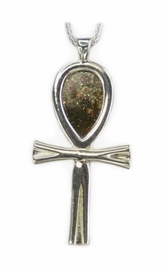 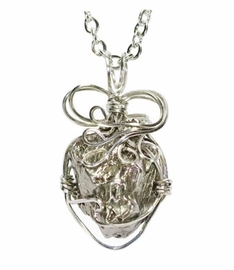 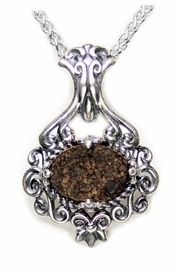 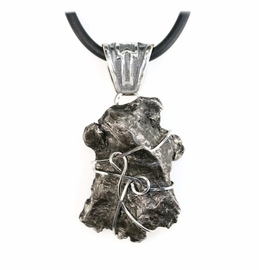 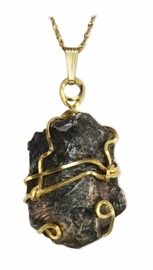 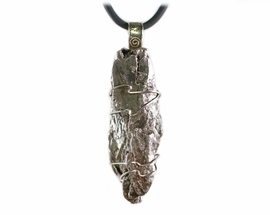 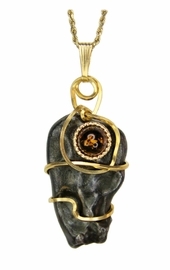 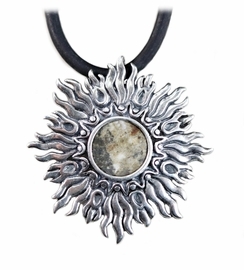 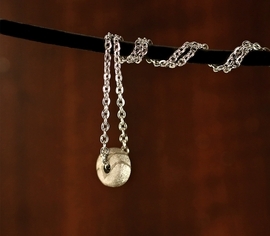 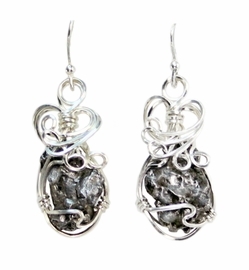 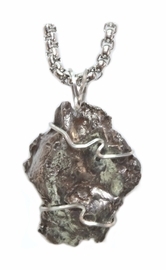 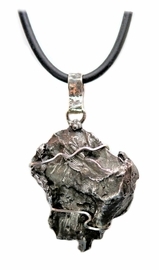 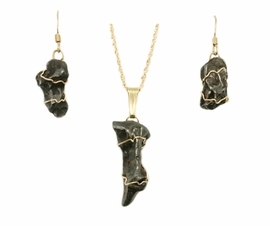 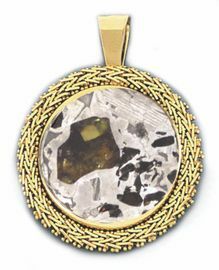 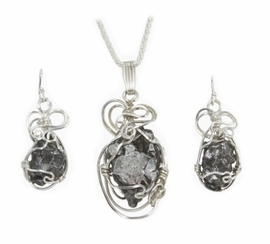 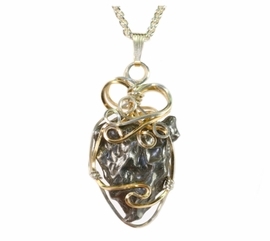 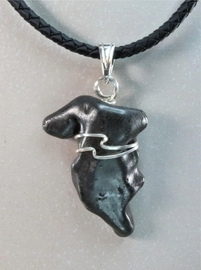 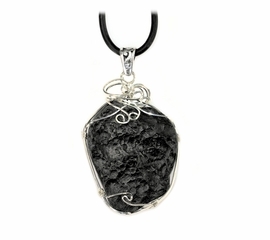 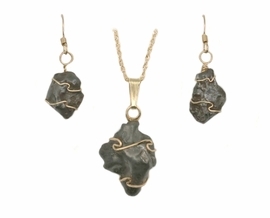 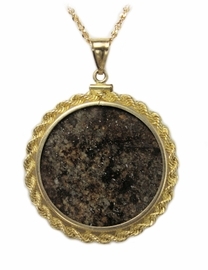 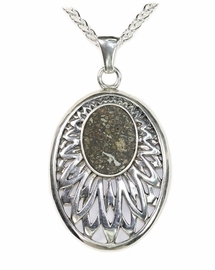 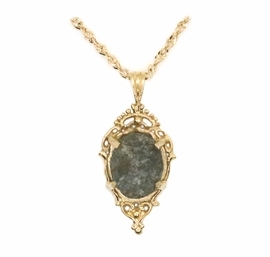 At KennedyCoJewelry we offer meteorite jewelry that is either wire wrapped or cabochon set. 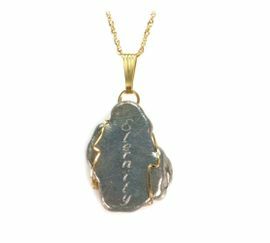 All of our handmade jewelry goes through a tedious process of selection to become visually stunning one-of-a-kind "Jewelry with a Story." 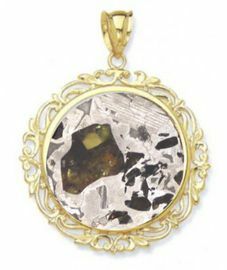 We use all kinds of meteorites in our studio to do this with such as Allende, Sikhote-Alin, Campo del Cielo, Dhofar 018, Ensisheim, and NWA 869, the bold and beautiful pallasites like Seymchan and a few more. 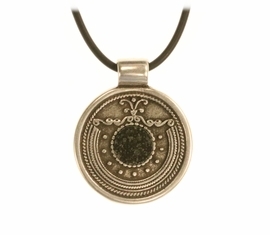 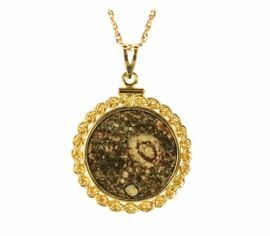 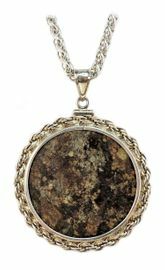 We hope you enjoy shopping our meteorite jewelry for men and women, available in 14K gold, sterling silver, and hypoallergenic stainless steel wire coin mount and cabochon settings. 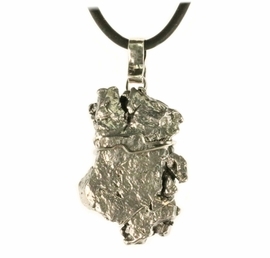 We have carefully crafted and imaginatively created some of the most wonderful space jewelry in the world! 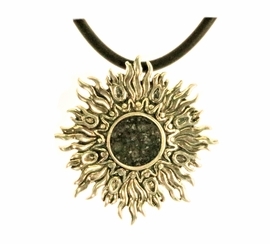 FREE PRIORITY SHIPPING (2-3 days) IN THE USA! 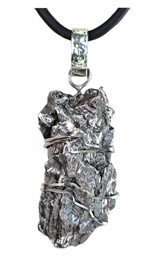 Expedite is available. 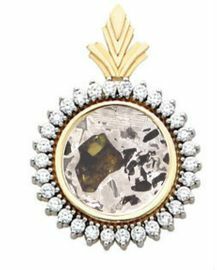 Premium Tektite Jewelry Sterling Silver Pendant Necklace Large - Sold! 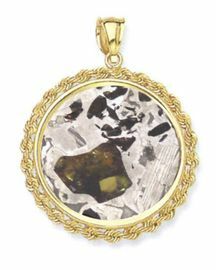 Large Extra Premium Campo del Cielo Meteorite Jewelry - Sold! 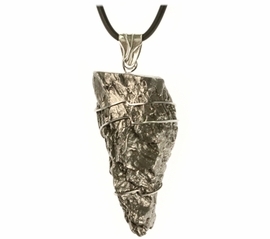 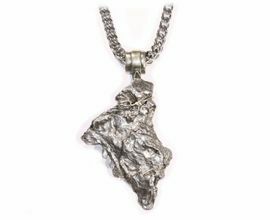 Large Meteorite Jewelry Pendant Necklace Stainless Steel - Sold! 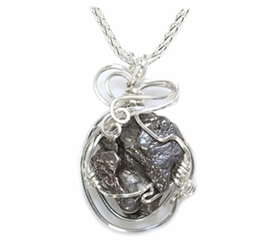 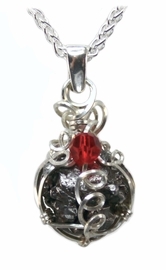 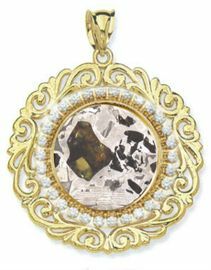 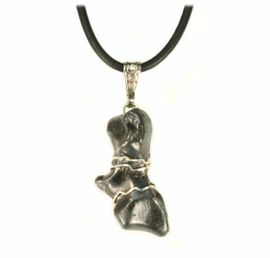 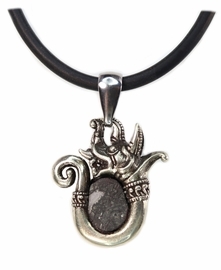 Allende Dragon Meteorite Jewelry Pendant Necklace - Sold!